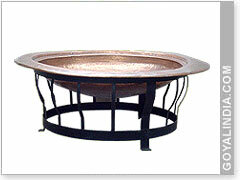 Fire pits are mainly designed to contain a fire and prevent it from spreading. Apart from this, they can also be used for warming up, grilling foods or beautifying the decor of garden, patio or other outdoor places. 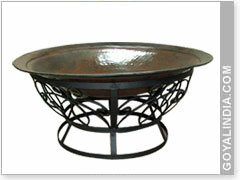 Our range of metal fire pits is created in sturdy yet portable construction and rust resistant finish. 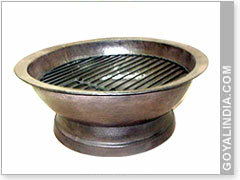 Plus, they do not lack in splendor & appeal and therefore add a class and style, wherever they are placed.We are supplying and exporting stainless steel fire pit, whalen fire pit, portable fire pit, iron fire pit, outdoor fire pit, copper fire pit, patio fire pits, backyard fire pit, metal fire pit at very competitive prices. 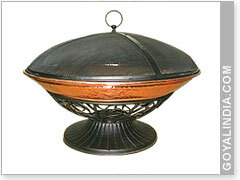 We present below few product samples from our exclusive collection of more than 5000 products. We have expertise to offer the products in customized designs along with logo embossing / private labelling and other specifications required by our clients. 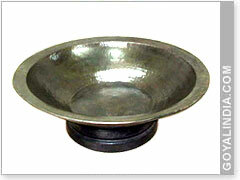 Please send us an enquiry detailing your requirements for a quick response.